A self-service help center (also known as self-service portal) is an online support center built by an organization to supply its customer base with consistent and accurate product/service information so that they can resolve their own queries. With a well-developed support center, customers can solve their problems anytime of the day on their own. 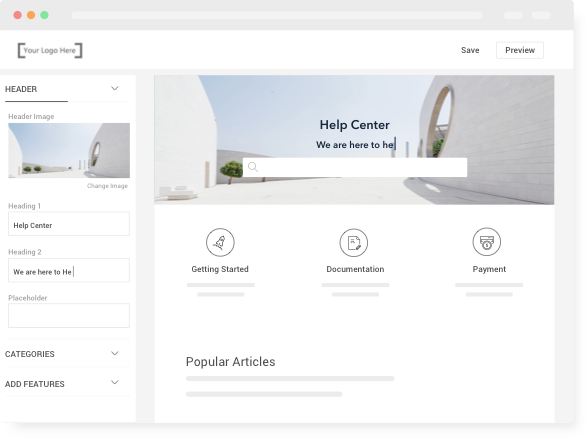 Typically, savvy businesses use a help center software to create a knowledge repository of instructional articles, FAQs, how-to-videos (which are common self-service support tools) to provide stellar customer service. 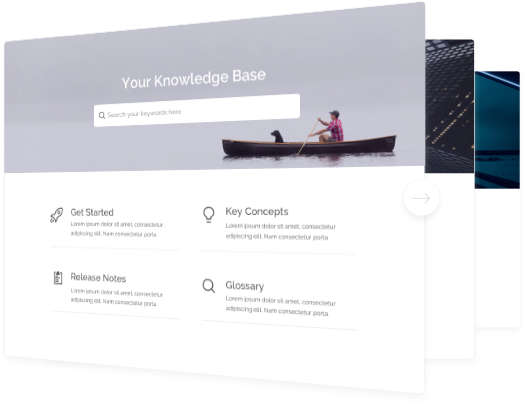 With ProProfs Knowledge Base, you can create a self-service help center- a place where your customers can find instant answers to frequently asked questions. The online help center serves as a secure web-based platform where customers can get information about your products and services, on their own. While this saves your customers from calling or raising tickets about the same issues again and again, it also means less support workload and costs for you. Provide customers the right answers at the right time. 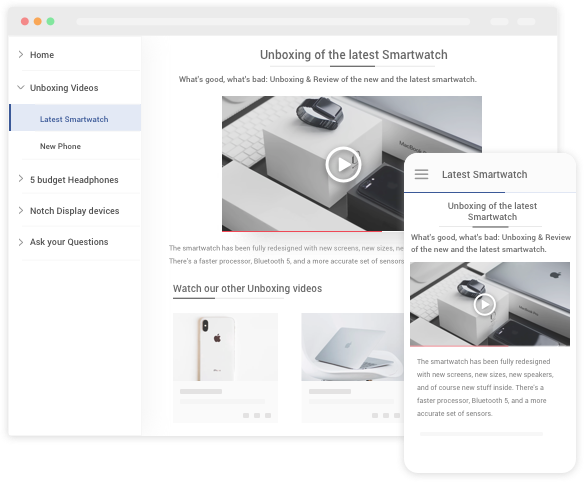 The key to onboard new customers faster is providing quick answers to the many questions they have about your service or product. You can always create an FAQ or build a help center to offer proactive answers to common questions. But the secret of faster customer onboarding is context-sensitive help, which includes in-app tooltips, popups and lightboxes. You can use them to offer customers guided tours of your product, website or mobile app. Design beautiful FAQs. Customize with CSS & HTML. With ProProfs , you can create multiple brands for a single site. 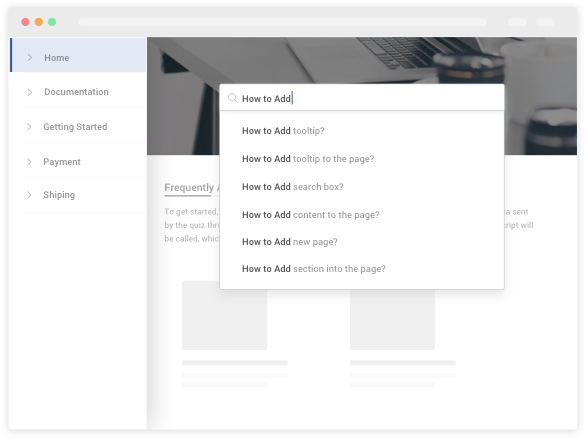 Which means that you can instantly create a new help center with the same content but different design. You can change the colors and theme to match the profiles of the customers who are accessing the help center. With ProProfs Help Centre Software, you can make changes in the headers, add banners and build the best help centers within minutes. 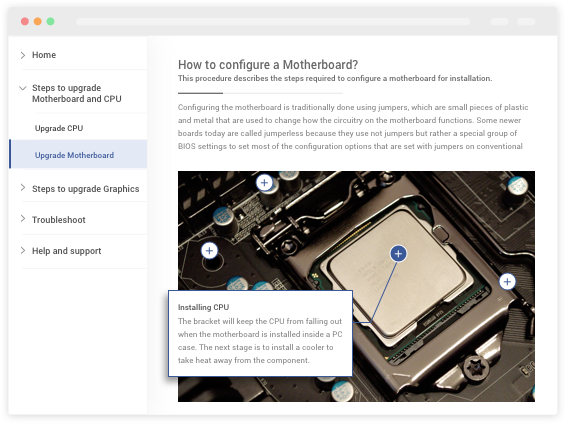 Those looking to dig deeper can also customize the CSS and HTML. With ProProfs you get full access control, which lets you decide who can view what; in your help center. Creating an internal help center, just for your agents is also possible. You can keep certain documentation private and only viewable to selected few, while keeping the rest public. 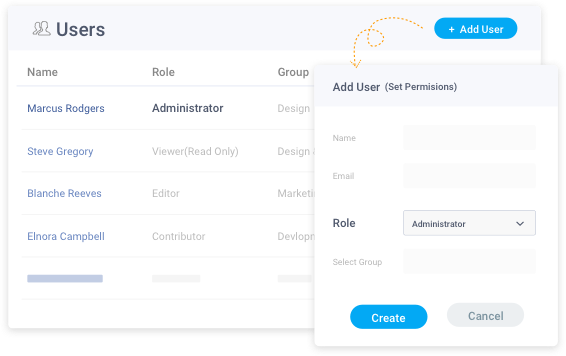 You can also set conditional rules which make your help center’s content inaccessible from certain regions, IP addresses, devices etc. This helps you automatically control what a customer can or cannot see. ProProfs ensures that your help center is compatible with all mobile devices and browsers including iPhone, iPad, Android, iOS and more. With a mobile and Google-friendly help center you can deliver 24/7 support to customers allowing them to find helpful information, whenever they need it.